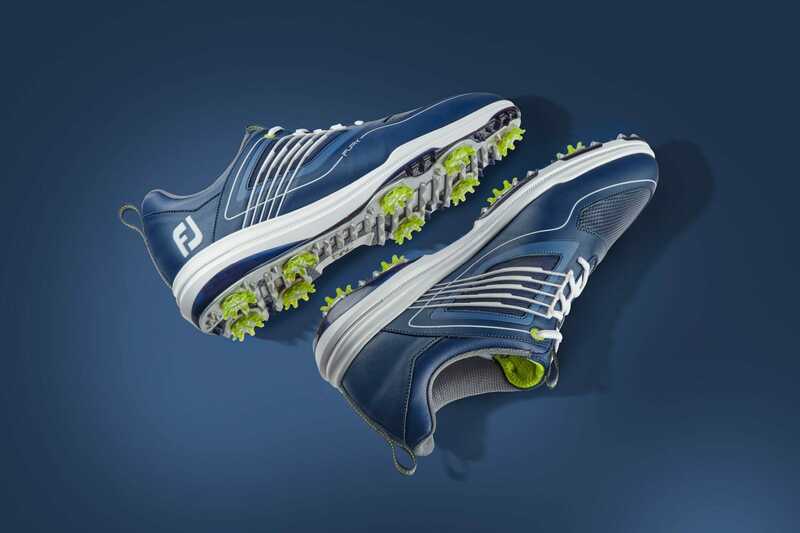 FootJoy has unveiled their latest golf shoe offering for 2019 with the all-new Fury. The eagle-eyed equipment and apparel nerds amongst you will have already seen Fury on the feet of Rafa Cabrera Bello and the Spaniard has been heavily involved in the design process of the new shoe. Fury is the latest addition to FJ’s performance line-up and is highlighted by a number of unique performance features, including an internal fit system that literally locks your foot to the shoe with a focus on fit and comfort while still offering great support. It’s fair to say PRO-SL took the spikeless market by storm over the past couple of seasons making it one of the biggest selling shoes in recent memory. Its versatility and comfort levels reached such heights that FJ literally couldn’t meet the market demand for its prized product. With 60% of the market still preferring a spiked performance shoe FJ has taken the best elements of comfort from the spikeless PRO-SL, some stability from the Tour S and the outer mesh performance from HyperFlex and developed the most comfortable spiked shoe I have ever worn from the company. Fury is like wearing your most comfortable pair of trainers; so light and comfortable you might just forget you’re wearing golf shoes. 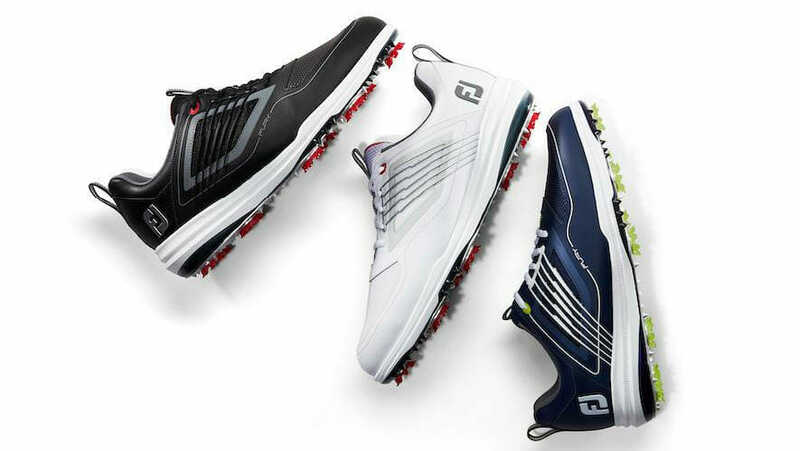 FootJoy has achieved this level of comfort by designing from the inside out as they tried to provide maximum comfort first and then refine the stability and performance attributes. Fury features a new TruFIT System, providing stability where you need it and comfort where you want it. Inside the shoe is a soft, stretch, one-piece Inner Fit Sleeve lasted underneath the insole board to provide a secure fit with no tongue slippage, surrounding the foot in absolute comfort. An OrthoLite Impressions FitBed, comprised of two densities of foam – an Open Cell PU Foam that maintains its mechanical properties and cushion throughout its life cycle, and an Impressions Foam that takes an impression of your foot before creating a custom fit that will mould to the shape of your foot. Outside the shoe, an external FlexGrid MLC cage system that you will remember from HyperFlex adds structure to the upper and locks you in as you lace up, offering medial and lateral support and motion control throughout your swing. A new D3 Outsole ensures a solid, rigid platform for lateral in-swing stability and turf-grabbing traction, while the FTF+ (Fine Tuned Foam) infused midsole delivers incredible comfort and cushioning. The Liquid Metalinspired Flex Layer of TPU and Dynamic Low Profile Pulsar Cleats deliver heel-to-toe walking flexibility and crouch flex when reading putts, providing the most flexible, green-friendly spike on the market. Fury’s athletic-inspired upper features a full grain, waterproof leather upper, waterproof membrane and a vented toe for breathability, coated for protection. Despite being a spiked shoe, Fury is so light and comfortable it really does feel more like a spikeless one; the comfort and stability Fury offers straight out of the box is unbelievable. In 2019 you will struggle to find a higher performing, more comfortable shoe that will tick every box. I wore Tour-S in 2018 and the one criticism I had with them was the price – nearly €300 and way too steep for a golf shoe. 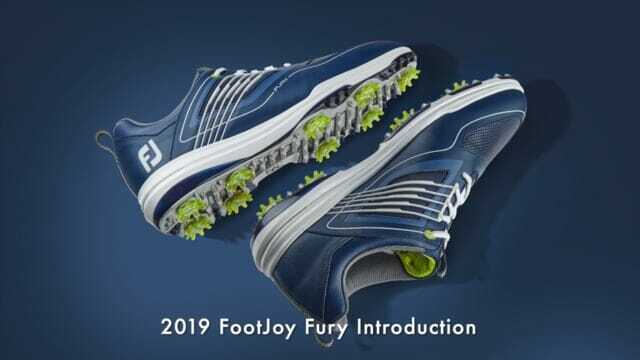 Thankfully for 2019, FJ has released Fury at a very competitive €195 and they will be available on Feb 15th in three colour options: White/red laced Navy/white laced or Black/red laced. If you are in the market for new kicks in 2019, do your feet a favour and try Fury on. I guarantee you won’t regret it.